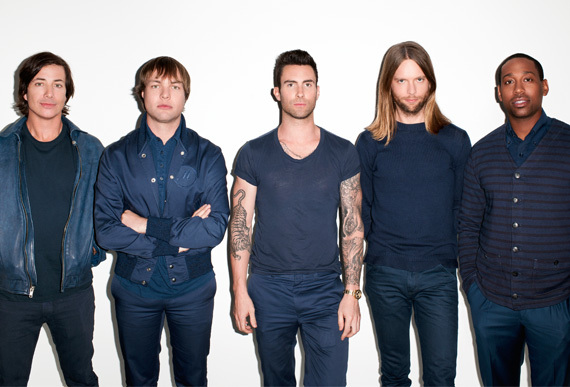 10 February 2012, Singapore – This September, get ready to bring on those 'Moves Like Jagger' with multiple Grammy-award winner MAROON 5 as they headline the Padang stage on Saturday 22 September at the Marina Bay Street Circuit. Entry to the concert at the Padang stage in Zone 4 is free with any three-day 2012 FORMULA 1 SINGTEL SINGAPORE GRAND PRIX ticket. Having sold over 17 million albums worldwide, earned 3 Grammy Awards and topped the Billboard charts, American rock band Maroon 5 has churned out numerous smash hits including 'She Will Be Loved', 'This Love', and most recently, 'Moves Like Jagger' and 'Misery' from their third studio album Hands All Over. With magnetic frontman Adam Levine chalking up points as a coach on the hit television series The Voice, Formula One fans can look forward to an adrenaline-charged Saturday show packed with Maroon 5's greatest hits. Just purchase any pair of Formula One tickets during the early-bird phase and stand a chance to win a pair of exclusive passes to Maroon 5's Meet & Greet session. There are six pairs of passes to be given away. To participate in the lucky draw, early-bird ticketholders just need to register their ticket transaction number on the Meet & Greet contest page on www.singaporegp.sg by 30 April 2012 (11.59pm, Singapore time).